Bluetooth seems to be getting some improvements in Android O. When the first Developer Preview dropped, we saw that the OS will let you choose which Bluetooth codec, including aptX and aptX HD, to use when streaming audio wirelessly. 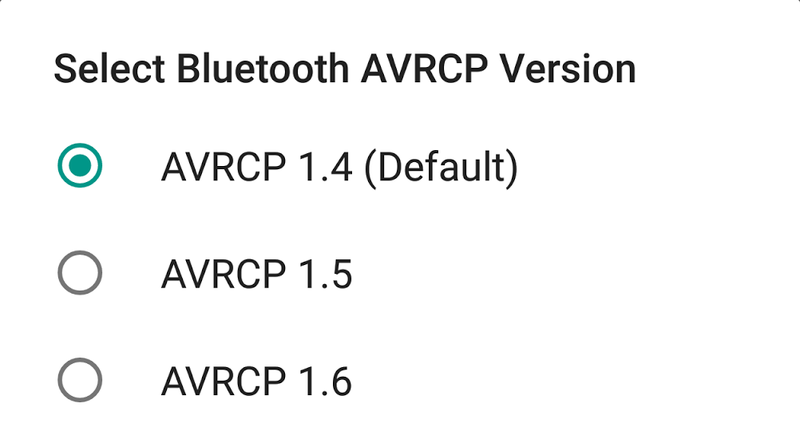 In a similar vein, Developer Preview 2 now has an option for you to choose which AVRCP version to use, instead of just getting stuck with the default v1.4. 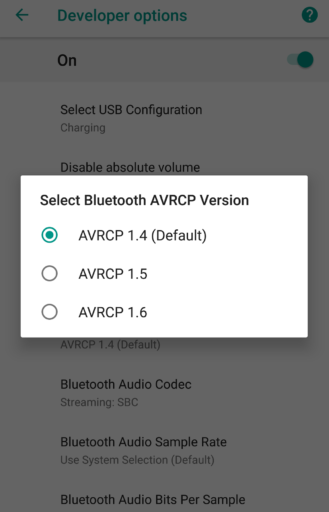 Audio/Video Remote Control Profile (or AVRCP) allows for using a single device/remote to control all A/V equipment that you might have access to; i.e. 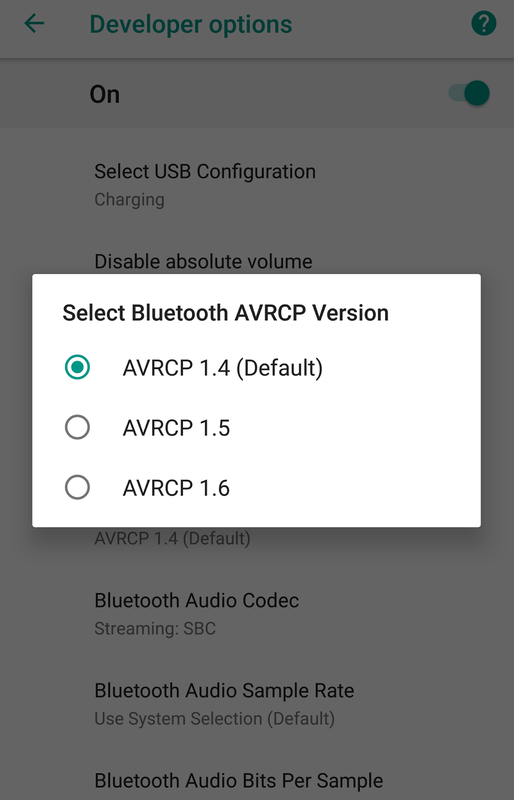 it allows for certain devices to control playback on other remote ones. It's commonly seen in vehicle infotainment systems and allows for play/pause and track skipping. Version 1.4 is the default in Android, as the menu in the screenshot above tells you. 1.5 and 1.6 build upon their predecessor and add new features or fixes along the way. The latest one, v1.6, contains the ability to browse data and track information, and is used to find the number of items in a folder without downloading the whole list as well as transmit cover arts. While small news, it's pretty cool to see. We're still digging through all of the new stuff coming in O that Google announced at I/O, so stick around if you're interested.